Note : Updated January 2016. The dark side is probably anything that is not considered tradition RC; scale, and normal Sunday flying. RC electrics, controls and features but excluding basic electric power and RC systems other than reliability issues and where it relates directly to the add-on. Unless there are questions, avoid the how-it-works detail. To be enjoyable and somewhat interesting it must be practical, low-cost, within line-of-sight and easily achievable. What to do with a standard RC fixed-wing, heli or multirotor ? Many types. Strips, individual, very bright, control/flashing, power, cost. Brightness is tricky. Depends on application. Display, spotting, safety. Too bright at night and not bright enough during the day. Resistors, best choice for voltage rating and volt drop. Often built in to the RC set now. Can be stand-alone. Voltage, amps, altitude, vario, speed, temperature, rpm. 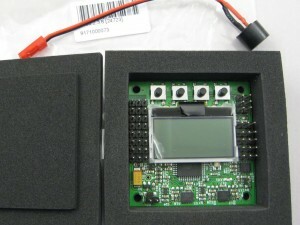 Displays on the transmitter LCD or a separate LCD. 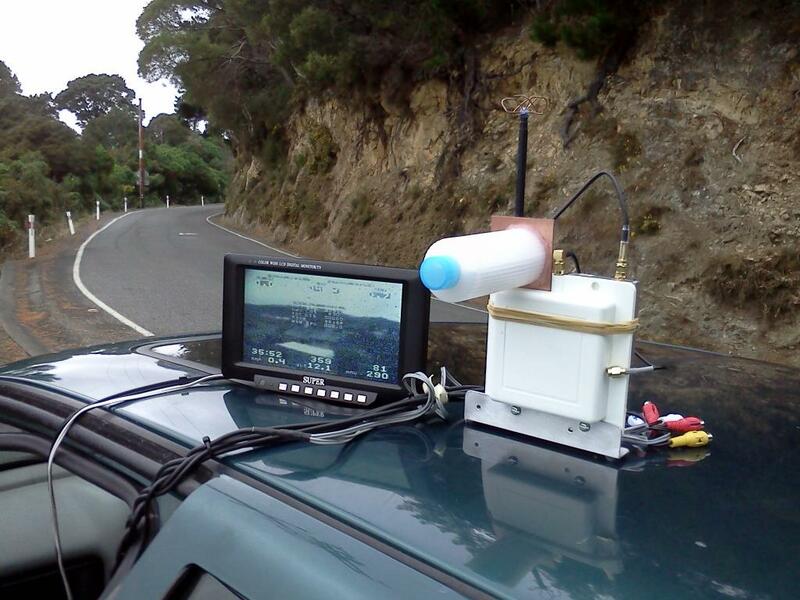 More systems can now announce telemetry data so the pilot is not distracted from the model. FR-Sky, available through HobbyKing works well, has a reputation for reliability. How high? can be associated with telemetry or stand-alone. Can be linked back to the pilot, or recorded on board and reviewed later. Z-Log was a popular unit a few years ago. There are now cheaper and smaller devices. Becoming more common built into RC sets. As a stand-alone unit, still a bit exotic and expensive. Precision or minimum change sensing is important and costs a bit more. Indicates to the pilot lift and sink. Mostly used in gliders but can be very interesting in power models. Records GPS data to be reviewed later, usually on Google Earth or maps. Can show path flown, altitude, speed and distance. Often in a graphical 3D map view on a PC. Some are intended for hiking and travelling and may not have the update rate to record RC flying. The cheaper and simpler systems simply take the bumps out. You can still easily crash the plane. Control will be mushy or limited. Can simplify flying or make a unstable model flyable. Can also make flying in gusty wind easier. Can make it harder if you fight the stability controller. Puts a lot more load on servos, ESC/BEC and batteries. More complex systems are more considered autopilots than stability controllers. The HobbyKing Orange RX with 3-Axis stability control is a simple option for anyone using a Spectrum transmitter; about US$15+. 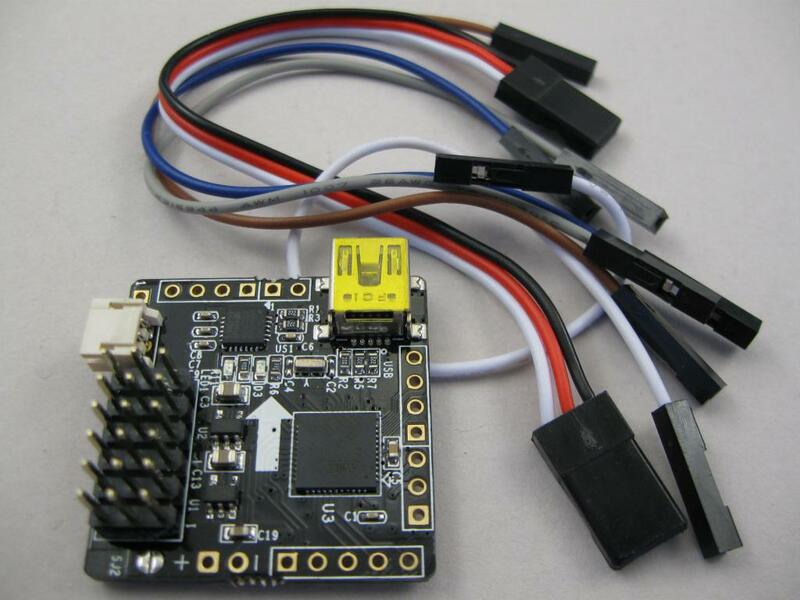 This is basically just a stability controller driving ESCs and motors rather than servos. The update rate is and sensing precision are quite high; higher the better. Can be confusing and a big learning curve; depending on the path you take. You can get cheap AND simple (KK2), or smart and easy (Naza). Or you get low-cost, smart, does everything but requires 3 weeks of spare time to set up. 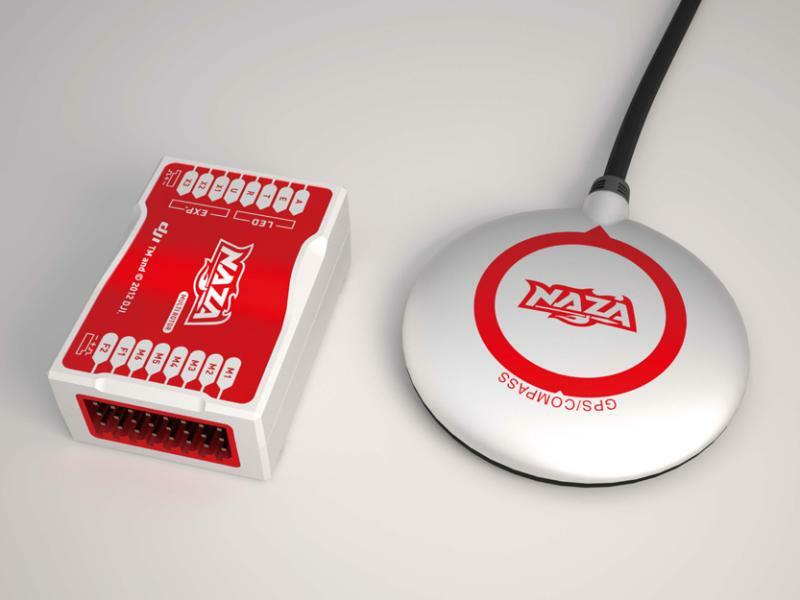 The Naza-M or the latest equivalent is probably the best starter unit with altitude and GPS hold that mostly just works out of the box. The KK2 board is also a good starter system. Low cost and relatively easy to use, but no altitude hold and no GPS, therefore no position hold or RTL. More advanced systems are either a lot more expensive or a lot more complex and a lot of work to them operating correctly. Record video during the flight the watch it later. Occasionally very interesting but you have to record every flight to get the good stuff, and then make sure you sort the video out and delete the crap. It builds up fast. Cheap options like the Keycam are a good place to start. Image quality is reasonable and the work well on bright days. Not so good in low light. There are many more expensive options but cost does not always mean good when attached to a RC model. Two main problems with many cameras. 1. Poor handling of light sky and dark ground. 2. Repeated frames in the recorded video. Simply provides a on-board view to the pilot on the ground. Can provide extra info overlaid on the video. There are enough people doing this now that everyone can have a look at some stage. Generally, high up and far away are not often flown. With a view from the plane and a model you can knock around a bit, trees, fences and flag poles become a lot more fun. Safety is a big concern mostly to people who haven’t flown FPV. Unsafe FPV pilots won’t last long, gets too expensive. Dropping a model is always a possibility finding it again is the problem. Long range is possible but to be reliable can be a lot of work. A step beyond stability. From simple “don’t crash” to fully autonomous. Can provide safety, confidence and hours of frustration. There are now a number of low cost control boards available, but they all require a lot of DIY to set up and keep them working. Most of the low cost control equipment has crappy firmware/software; just enough to get it on the shelf. There are now a lot of open source projects upgrading cheaper hardware. 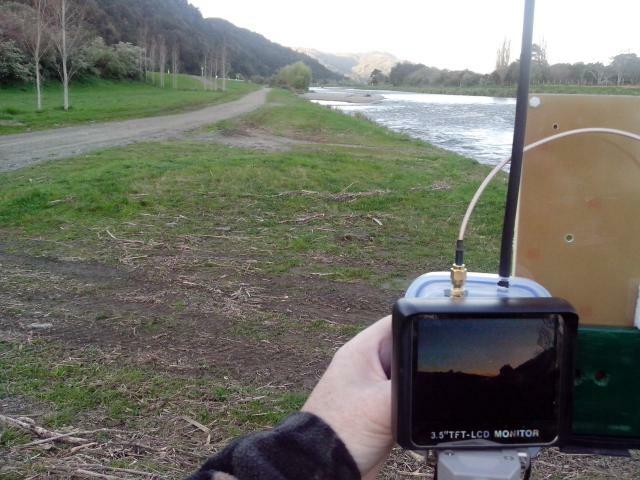 Even a few main stream hardware manufacturers are going open source, like FRSky and the new Taranis radio. 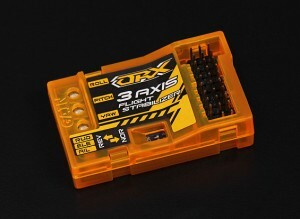 The Turnigy 9X and 9XR are little brothers of the Taranis; same code source and setup. The Taranis is scaled up with a better microcontroller. To simply use open source firmware is not too difficult. You reprogram your hardware and go flying. To make changes or get involved with open source firmware requires a lot of work. PC software, source code, and programming interfaces. Then a lot of time testing, updating and re-testing. Whatever you do must be safe, for yourself and especially for others. You must not put people or property in any in danger – within reason – apply common sense. Example: flying a model over a city is stupid but flying a model over park surrounded by houses may be an acceptable risk, depending on the model etc. IMO, obviously stupid rules and rules you have to pay for, don’t apply.